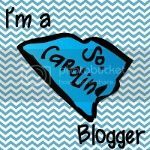 To show you how THANKFUL I am for you following my blog, I have something really special planned for you today! THREE LUCKY WINNERS will win a set of 35 Brag Tags and 35 Chains from ImageStuff!! What are Brag Tags, you ask?? 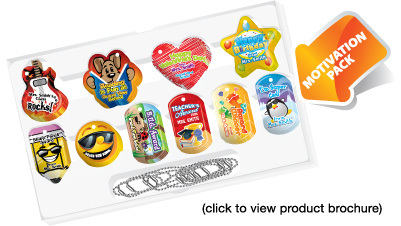 They are the newest, most awesome way to reward your students for their hard work and special accomplishments! 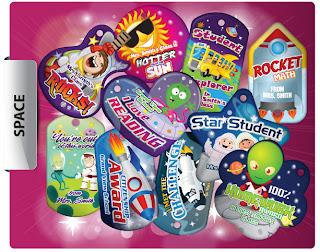 Brag Tags are similar to "dog tags" - boys and girls love to collect them, wear them, and show them off! What better way to show your students how THANKFUL you are for their efforts than something this cool and fun?! Here are the top reasons I LOVE these tags! 1. They can be customized in many different ways (your name, shapes, class themes, etc). 2. They are super durable and unique! 3. They can be used to reward so many accomplishments (reading goals, perfect attendance, honor roll, character, etc). 4. They make a great keepsake at the end of the year! Most teachers use these tags by setting up a "Brag Tag Station" (bulletin board) to hang students' chains. 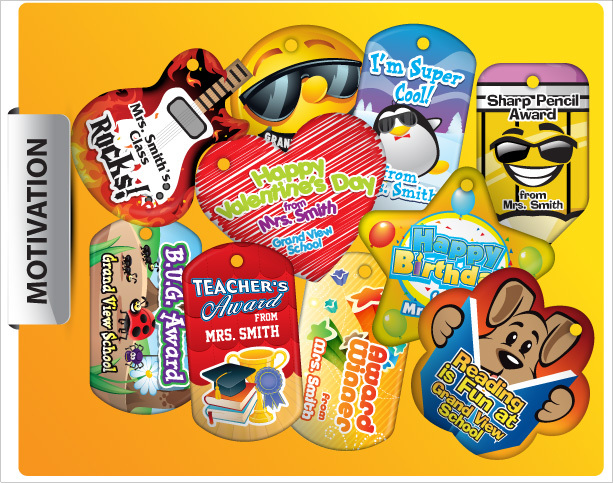 Students wear the brag tags each day, but hang them back up at the end of the day so that they're not lost at home. Students add tags throughout the year for their accomplishments and then take them home at the end of the year as a memorable keepsake! What better way to remember their achievements and growth? Many teachers also let students add beads to their brag tag chains for other accomplishments (such as reaching the top of the behavior clip chart and/or reaching "challenge" AR goals, etc). The possibilities are endless!! So, are you ready to win a set of these for your classroom? It's simple! Just enter below! And, don't forget to enter the previous days' giveaways below, too! We have dog tags with our school theme each year. I'm not sure where they get them but the students really like them along with the additional charms they earn. My kids get these from the administration for accomplishments, but I would love to use them in my classroom too for behavior! I've got a sweet little gal who is just really struggling with spelling. We are working like crazy and she has made so much progress. If she gets one more A, she will have reached her goal! I am most excited about rewarding PBIS behavior expectations with the brag tags! I would love to award students who consistenly bring everything to class! My students love to earn Brag Tags! I would love these! I would probably use them for reading or good behavior! I would love to use the reading tags! I love the Perfect Attendance ones! A reward as part of our behavior program that we have at school! Congrats! 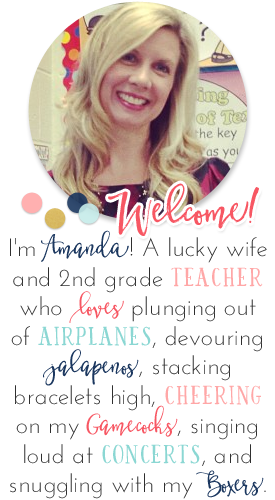 I'd use the brag tags for addition and subtractions facts (it's a promotion standard for my district) and AR points. My kids are striving to master their addition and subtraction facts. Having one of these tags to accent this achievement would be awesome! Tying my shoe! They really would love to have a brag tag for this! We do a "Detective Academy" when we are preparing for the Texas STAAR test. Student earn "stars". 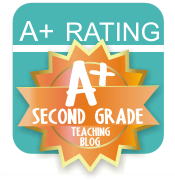 I think brag tags would be a fun way to reward students when they reach a certain # of stars. I want to recognize improvement in reading fluency on benchmarks. These would be a great incentive for reading or behavior. Bribery for any accomplishment I have for them and I have a bunch I sell for school spirit! The bribery WORKS! Bucket filling, monthly book reports, math or reading goals... YEAH! 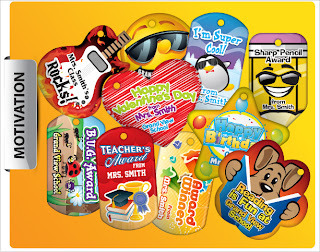 I would reward my kiddos for Super Speller or Super Reader with these brag tags! I'm thinking maybe something to reward students who turn in their Daily 5 trackers. I'm looking for a way to motivate kids to do this. So many things to reward! Reading would be one of my first choices. I'd also want to reward for spelling, math, kindness to others, behavior, completing a science unit, etc., etc. :) What a great prize! Thanks! I would use them as a reward for meeting their reading goals. Right now I'd like to celebrate when my students learn their sight words! They seem to really be struggling with them lately! I would love to donate these to our AR Millionaires for reaching their goal of reading one million words! Thank you for the opportunity! I would love to use them as a reward for meeting their reading goals, or for another goal they have set for the month. They would be wonderful!! I would like to my students to wear brag tags in order to brad about writing!! I would love to use the Brag Tags to reward reading achievement.